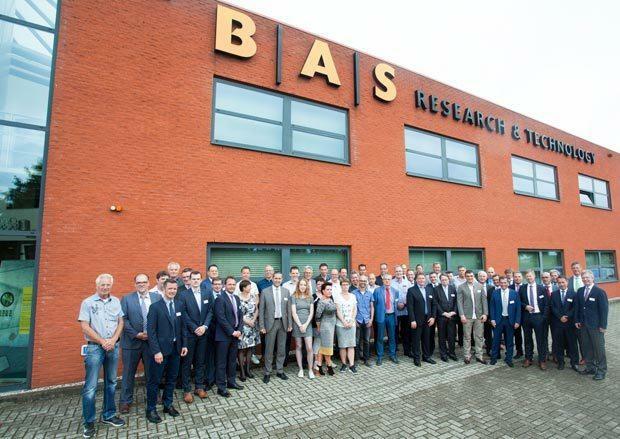 Headquartered in Venlo, Netherlands, since its foundation in 1979 the technology company B|A|S has concerned itself with researching and developing the materials used in the construction industry – particularly concrete. "For us this acquisition is a step forward in our business objective to meet the increasing demand not only for products but also for solutions in construction", says Jens Günther, designated Chairman of the Executive Board. "That will necessitate a whole new approach to construction sites. And it will call current dogmas of the formwork industry into question, namely that innovation invariably has to mean more efficient formwork and nothing else." The line from Friedrich Schiller's 'Song of the Bell' is particularly apt, because this acquisition was preceded by a partnership of many years' standing. "We've been working successfully with B|A|S for several years. Concremote – a sensor-based technology for measuring strength development in concrete and for identifying the ideal time for stripping the formwork – was one of the absolute highlights at this year's bauma expo", asserts Jürgen Obiegli, current Chairman of the Executive Board of the Doka Group, who was responsible for this deal. Concremote is indeed already being used with great success on the biggest Doka construction sites all over the world. However, B|A|S is much more than that. In fact the holistic business model is all about how the entire process from planning through construction to maintenance and ultimately demolition of the structure and disposal of the waste materials can be made more and more efficient. This is precisely where B|A|S has focused its research and development activities. In its own concrete laboratory facilities – B|A|S is Holland's market leader in concrete testing and has one of the biggest and most advanced labs in Europe – material samples are analysed and interpreted, but not simply to optimise the act of building alone. The specialists also survey existing structures to gauge their condition and make recommendations for rehab measures and maintenance over any building's remaining lifespan. The scientists in Venlo see themselves primarily as consultants for construction-project owners, for building operators and proprietors. "The hands-on approach is definitely what we have in common", asserts Jürgen Obiegli. "B|A|S is much more than a think tank. These people understand a lot about the essential processes in construction and about the materials that are used on site." Thank you for your interest - Doka Group acquires Dutch technology specialists B|A|S. 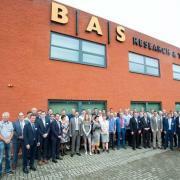 Thank you very much for your interest - Doka Group acquires Dutch technology specialists B|A|S.